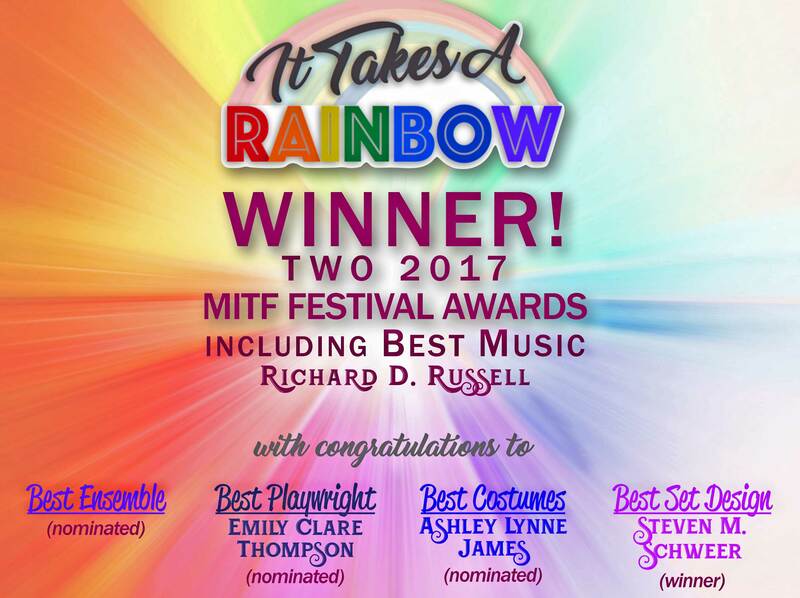 NEW YORK — The Midtown International Theater Festival recently recognized It Takes A Rainbow with 5 festival nominations. With over 80 shows presented during the Summer 2017 festival, Richard D. Russell’s compositions for the show were singled out for Best Music. The production also won for Best Set Design, recognizing the theater designer Steven M. Schweer. 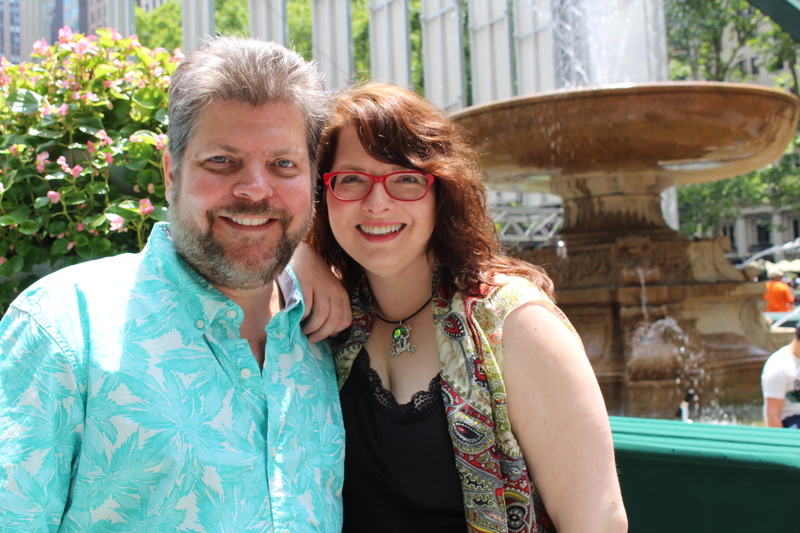 The musical garnered three additional nominations: Emily Clare Thompson for Best Playwright, Ashley Lynne James for Best Costumes, and the production itself received a nomination for Best Ensemble. The Midtown International Theater Festival began in the year 2000, and through 2017 was the longest continuously running theater festival in New York City. The MITF presents stage plays and musicals, whether mainstream or focused on an ethnic or cultural niche.The MITF is the brainchild of John Chatterton, creator of OOBR (“the off-off-broadway review”), which for many years was the only publication exclusively devoted to covering the Off-Off-Broadway scene. Mr. Chatterton started the MITF as a way to present the finest Off-Off-Broadway talent.